The T3 Awards are here again – opening up its longlist of products and highlighting the growing battle between Android and Apple's iOS products. The T3 Awards are in their fifth year, and cover the brightest and best gadgets and technologies around. With the rise and rise of the iPad and iPhone, Apple has made itself a massive name in the gadget world, but its greatest challenger – Google's Android – is beginning to show its teeth. "This year's T3 Gadget Awards is going to be fascinating to watch," T3.com editor Kieran Alger told TechRadar. "The rise of Android, with the volume of higher quality smartphones and tablets, is sure to see a real challenge to Apple's dominance. "Meanwhile the Gadget Personality of the Year category is also shaping up to be a right royal rumble with the best line-up we've seen. Lady Gaga versus Stephen Fry is a fight I'd love to see." TechRadar editor Patrick Goss will be having his say as a guest judge, along with experts from the likes of the Daily Telegraph and MSN and the vital public voters. "Last year's awards were a massive step up, and it was great to see some truly great tech being given the credit it deserves," he said. "I'm already excited to see who will get the popular vote out of Apple and Android, and the brand new tablet of the year award is looking likely to be a highlight." 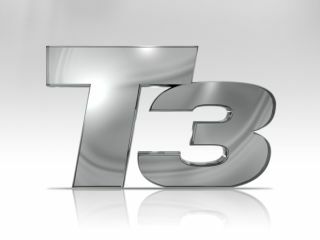 You can vote for the T3 Awards - which like TechRadar are part of Future Publishing - at http://awards.t3.com with longlist voting opening today.